The 3D printing technology has already been applied to different platforms since its creation. The technology is already being applied to art, education, medical field, and even in construction. Now, it is again being tested on an unusual racing contest. This event takes every other year which uses vehicles that are powered by electric screwdrivers in the Akkuschrauberrennen wireless screwdriver competition. 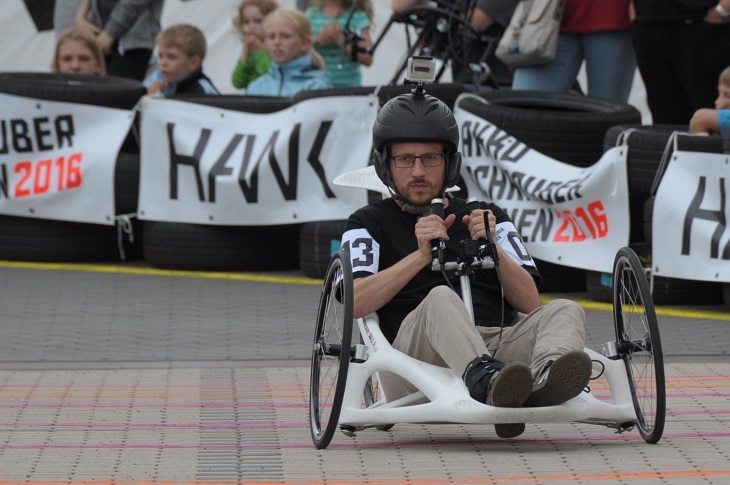 The HAWK Hochschule hosts the race in Hildesheim, Germany. The HAWK Univeristy of Applied Science and Arts created a futuristic, university level competition of the famous soapbox derby in the old days. The Akkuschrauberrennen competition involves teams that can have six students which can build electric vehicles that can accommodate one passenger and of course, an electronic screwdriver should power these cars. The competition over at Germany was held last June 25, 2016. The event has been happening for over nine years and every other year the competition always has a new challenge or iteration. The twist brings an extra challenge but also the application of skills of the engineering students. One exquisite example of an iteration was 2013’s event because it required the students to create a vehicle using paper. 2016’s challenge was to require students create at least 50cm of 3D printed material which is later on applied to the vehicle. 11 teams were able to create 11 organically 3D printed vehicles this year’s contest. This includes the three-time champion Team Most freezer from the Hochschule Emden. 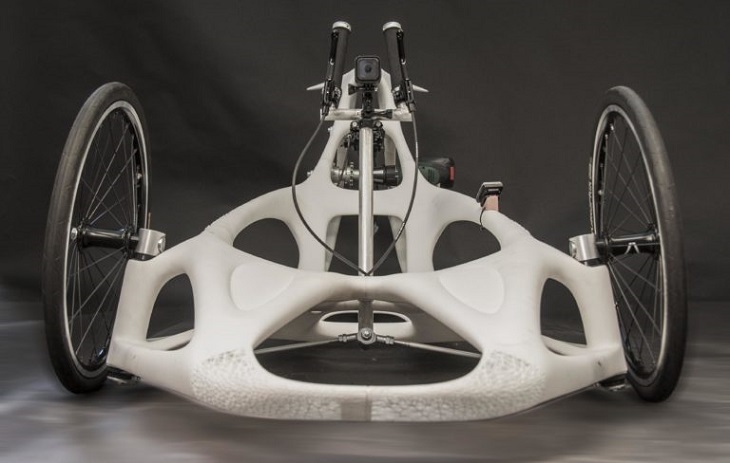 The team was able to take the challenge to a whole new level of 3D printing the entire frame of the vehicle. The engineering students are not new to the technology, all of the members of the Team Ostfreezer are already familiar with the digital design and 3D printers but still to come up victorious, asking for professional help would not hurt. For the team to obtain such resources needed in building a running 3D printed cart, the team turned to Materialise. Materialise assisted in designing the vehicles frame by using the Materialise Magics and the Materialise 3-matic software. The result of the team’s effort and the technology from Materialise were outstanding. The finished product delivered a sturdy and working vehicle with its stunning curving lines and web-like textures. These features could not be made possible without using the 3D printer according to Materialise. The parts printed were made using the laser sintering technology, and it was shipped over to Germany for the students to assemble the sleek and modernised screwdriver cart. There were over 5,000 people who watched the Akkuschrauberrennen event in Germany and just like any race event; every team was given a minute to ready the 3D printed vehicles. The cars were given a boost by the other members of the team by pushing onto the track. Sadly, Team Ostfreezer was not able to take the fourth title this year. The first place was given to Team MOPET even though the team experienced a first round crash. The home team managed to make bring great joy to its home fans by winning the last round and bringing home the title.